Dr. Dre, is an American record producer, rapper and entrepreneur. He is the founder and current CEO of Aftermath Entertainment and Beats Electronics. 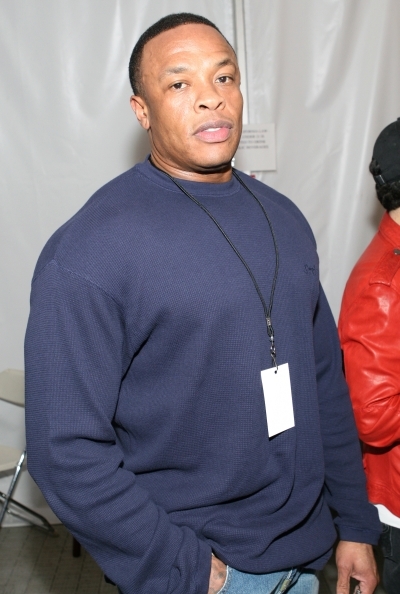 Dre was previously the co-owner and artist of Death Row Records. He has produced albums for and overseen the careers of many rappers, including Snoop Dogg, Eminem, Xzibit, 50 Cent, The Game and more recently Kendrick Lamar. He is credited as a key figure in the popularization of West Coast G-funk, a style of rap music characterized as synthesizer-based with slow, heavy beats. In 2011, Dr. Dre was ranked as the third richest figure in the American hip hop scene by Forbes with a net worth of $250 million. Dr. Dre has said that his primary instrument in the studio is the Akai MPC3000, a drum machine and sampler, and that he often uses as many as four or five to produce a single recording. He cites 1970s funk musicians such as George Clinton, Isaac Hayes and Curtis Mayfield as his primary musical influences. Unlike most rap producers, he tries to avoid samples as much as possible, preferring to have studio musicians re-play pieces of music he wants to use, because it allows him more flexibility to change the pieces in rhythm and tempo. In 2001 he told Time magazine, "I may hear something I like on an old record that may inspire me, but I'd rather use musicians to re-create the sound or elaborate on it. I can control it better." Other equipment he uses include the E-mu SP-1200 drum machine and other keyboards from such manufacturers as Korg, Rhodes, Wurlitzer, Moog, and Roland. "At the time, I saw Dr. Dre desperately needed something," Storch says. "He needed a fuel injection, and Dr. Dre utilized me as the nitrous oxide. He threw me into the mix, and I sort of tapped on a new flavor with my whole piano sound and the strings and orchestration. So I'd be on the keyboards, and Mike [Elizondo] was on the bass guitar, and Dr. Dre was on the drum machine"